The number of times your video was viewed to 10 seconds. If your video is less than 10 seconds, then this refers to the number of times people viewed 97% of your video. This gauges the video's relevance to its audience. This shows the number of times your video was viewed to 30 seconds. If your video is 30 seconds or less, then this refers to the number of times people viewed 97% of your video. A/B testing, also called split testing, is a method that tests which ad headlines, body copy, images, call-to-actions work best on your target audience. A/B testing can help you compare the performance of multiple variables in a campaign and determine which one is best for your objectives. The about section contains basic information that will help visitors quickly learn more about you on your Facebook page. Different types of basic information such as description, address, phone number, and URL will appear on your page’s About section, depending on your Page’s category and settings. Account currency is the currency that is used by your ad account. Any charges will appear in the currency that is selected. Account settings is used to manage any basic account preferences. You can edit your name and email address, change your notifications preferences, turn on extra security features, and more. To find your settings, click on the top right corner of your Facebook homepage and select Settings. The grouping of all your specific ad activity. Your ad account includes different campaigns, ad sets, ads, and billing information. You can manage multiple ad accounts through business manager. This unique numerical ID differentiates between every ad created. Include this number in any support requests to ensure a faster resolution. The number of times an item was added to a shopping cart on your website as a result of your ad. The total value that represents the amount of items that were added to a cart on your website as a result of your ad. Admins are people who manage the activity of ad accounts, fan pages, or Facebook groups. Admins also have the ability to post, moderate, or control content and to add or remove other users from account roles. The Ads API allows you to create and manage ads on Facebook programmatically. The API allows Facebook Preferred Marketing Partners to build solutions for marketing automation with Facebook's advertising platform. 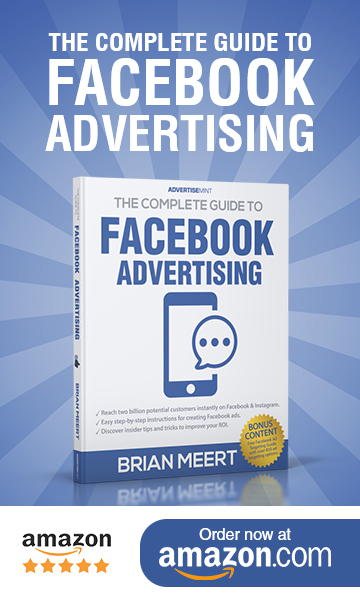 Facebook's Advertising Policies provide information on the type of ad content and practices that are allowed or not allowed on the site. If you violate these policies, Facebook may block your accounts or reject your ads. The total amount you have spent during the dates you have selected in your Ads Manager. An interactive software application developed to use Facebook's core technologies. Facebook apps are created by third parties who add features and functionality to the Facebook experience. An objective that allows advertisers to find users who have downloaded their app. The ads encourage users to re-engage with the app after they have installed it. The number of actions related to the application story as a result of your ad. This often encourages people to engage more with the content in their newsfeed. The number of times users have used your app as a result of your ad. This is a group of people who can potentially see your ads. The audience selector, a feature available to pages, allows page admins to select an audience for the content posted on the page. Augmented reality (AR) is a technology that layers a digital image over a user’s view of a physical, real-world environment. Unlike virtual reality (VR), which creates a digital, 3D simulation of the real world, augmented reality augments the environment with graphic overlays and special effects. Average Cost Per Click is the average amount you are paying for each click on your ad. This is calculated as total clicks on your ad over cost during the same time period. For example, if your ad receives two clicks, one costing $1 and one costing $2, your average CPC for those clicks is $1.50. The amount you are paying on average for every thousand impressions of your ad. This is calculated as the number of thousands of times your ad is displayed over the cost for that ad during the same time period. The average length of time people spent viewing your video. This is the total video watch time divided by the total number of times your video was played. The average percentage of your video that people viewed. This is the total video view percentage divided by the total number of times your video was played. Additional optional payment methods you can add to your ad account. If there is a problem with your primary payment method, Facebook will charge fees using the backup payment method of your choice. The billing summary shows you a list of all of your past ad charges. Clicking each description link will take you to a detailed breakdown for that charge, including the dates that the charge covers and the specific ads that ran during that period. A Boosted post is a regular post that you pay Facebook to advertise. Boosted posts, like Facebook ads, will appear on the news feeds of a target audience. The maximum amount you are willing to spend on each campaign. A website that helps businesses and agencies manage their Facebook pages, ad accounts, and apps in one place. Business Manager also allows advertisers to centrally manage different permission levels of team members working on ad accounts or pages. The button that appears on a Facebook ad that takes users directly to a landing page. The button includes call-to-actions such as "shop now," "book now," "learn more," "sign up," "download," "shop more," "contact us," "apply now," and "donate now." The campaign level contains one or more ad sets and ads. When creating an ad at the campaign level, advertisers can choose an objective. This is a unique numerical ID associated with a campaign. A campaign spending limit allows you to set an overall spending limit for an entire campaign. A campaign spending limit does not affect your ads’ delivery, but it ensures that all the ad sets and ads in your campaign stop running once your campaign spends the amount you have set. Canvas is an immersive Facebook ad that, once clicked, opens full-screen in users’ phones. Canvas ads can be comprised of videos, images, carousels, and call-to-action buttons, which users can swipe through, tilt for a panoramic view, or zoom in and out. Carousel ads are ads that include up to 10 images or videos within a single ad unit that direct users to specific locations on a website. Each carousel ad contains up to 10 carousel cards which users can swipe through and click. Chat is a Facebook feature that lets you send instant messages to your friends. The chat feature was migrated into the popular Messenger app which is a standalone app from Facebook. Check-Ins is a Facebook feature that allows you to disclose your current location to your Facebook friends (if your profile is private). If your page includes an address, it will appear in a list of possible locations to check in to when people are nearby. The total value returned from conversions on your website as a result of your ad. Advertisers must have custom conversions enabled for this to appear in their reports. Clicks is a metric that is measured by the amount of time a user clicks on an ad. Clicks to like, share, or comment, and clicks on the CTA button are measured as clicks. This is different from Clicks (All) that displays the total number of offsite clicks to your website. Connections is a targeting option in which advertisers can target the people who liked their page or location, installed their app, or checked in to their advertised location within 24 hours of viewing or clicking an ad or sponsored story. Connections include the people who liked your page or location, installed your app, or checked in to your advertised place within 24 hours of viewing or clicking an ad or sponsored story. If your ad links offsite, you will not see connections data in your Ads Manager. Conversions are the number of times people completed a desired action, such as purchases on a website or sign-ups for a newsletter. Core audiences is a targeting option that allows advertisers to reach precise audiences based on four main targeting types: location, demographic, interests, and behaviors. Facebook pulls data from the information users share on their profiles and the behaviors they exhibit online and offline. The average cost advertisers pay to show their ads to 1,000 unique users. The average cost of all actions tracked by your Facebook pixel or conversion pixels on your website after people viewed or clicked on your ad. For example, if you spent $20 and you got 10 page likes, each one costs an average of $2. The average cost per action related to the app as a result of your ad. The average cost per action related to the app story as a result of your ad. The average cost for each app use as a result of your ad. The average cost for each check-in as a result of your ad. The average cost for each checkout on your website as a result of your ad. The number of times your video was viewed to 50% of its length, including views that skipped to this point. The average cost for each credit spend action as a result of your ad. The average cost for each person who joins your event as a result of your ad. The average cost of each gift you sold on Facebook as a result of your ad. The average cost for each view of a key page on your website as a result of your ad. The average cost for each lead on your website as a result of your ads. The average cost for each level-achieved action in a gaming app as a result of an ad. The average cost per action on an app as a result of an ad. The average cost for each other action in your mobile app as a result of your ad. The average cost for each add-to-cart action in your mobile app as a result of your ad. The average cost for each add-to-wish-list action in your mobile app as a result of your ad. The average cost for each initiated checkout action in your mobile app as a result of your ad. The average cost for each registration action in your mobile app as a result of your ad. The average cost for each credit spend action in your mobile app as a result of your ad. The average cost for each feature- or-achievement-unlocked action in your mobile app as a result of your ad. The average cost for each install from a mobile device as a result of your ad. The average cost for each add payment information action in your mobile app as a result of your ad. The average cost for each app purchase as a result of an ad. The average cost for each rating of an app as a result of an ad. The average cost for each search action in your mobile app as a result of your ad. The average cost for each mobile-app-start action as a result of your ad. The average cost for each tutorial completion action in your mobile app as a result of your ad. The average cost per action related to your page and your page's posts as a result of your ad. The average cost for each page mention as a result of your ad. The average cost of views of tabs on your page as a result of your ad. The average cost for each photo view as a result of your ad. The average cost for each comment on your page's posts as a result of your ad. The average cost per action related to your page's posts as a result of your ad or total spend divided by the total number of engagement actions. The average cost for each like on your Page's posts as a result of your ad. The average cost for each share on your Page's posts as a result of your ad. The average cost for each question follow as a result of your ad. The average cost for each registration on your website as a result of your ad. Info about CPM will go here. The average cost you've paid to have 1,000 impressions on your ad. If your ads are bid on a CPM basis, you will be charged when users view your ads, regardless of whether or not they click on them. The number of any clicks you received on your ad, divided by the number of impressions. The average cost per video view, calculated as the amount spent divided by the number of video views. The average cost of all actions tracked by your Facebook pixel or conversion pixels on your website after people viewed or clicked on your ad. The average cost for each time someone took another action on your website as a result of your ad. Your cover photo is the large picture at the top of your profile, right above your profile picture. All cover photos are public, which means that anyone visiting your Page will be able to see it. Best practices include using a unique image that represents your brand. The number of times advertising coupons were spent in your app as a result of your ad. Your current balance is the total amount you’ve spent on ads which you haven’t been billed for yet. This balance will be cleared automatically after we charge your payment method for the amount. You can see a summary of your charges in the billing section under Ads Manager. A Custom Audience is an ad targeting option that allows advertisers to target an audience from an uploaded customer list. The list can be comprised of people from a customer file or people tracked by the Facebook pixel who have visited or took actions on a website, app, or Facebook page. This metric is the number of people who have viewed or interacted with your Facebook Page on a specific day. It’s categorized by the type of action they perform. It's also been used to measure "stickiness" of an online product or how many unique users visit the site daily. The amount you’ve indicated you’re willing to spend on a specific campaign per day. Facebook will never charge you more than your daily budget on a given day. Each ad set will have a separate budget. Ads will automatically stop showing once a daily budget for the ad set has been met for that day. The daily spend limit is the maximum amount that Facebook will allow you to spend in one day. This tells you if your campaign, ad set or ad is currently running. The total value returned from advertising coupons spent in your desktop app as a result of your ad. This is based on the value assigned to the conversion type in your pixel code. The ad’s destination is the landing page that users will land on after they click on an ad. The device on which the conversion event you're tracking occurred. For example, "Desktop" if someone converted on a desktop computer. Help businesses sell products online by showing relevant products from their catalog to the people who want to buy them. Dynamic product ads give marketers a powerful set of tools to promote the right product to the right person at the right time, and with a personalized message. The date a campaign is scheduled to stop. Campaigns can run continuously or until specific dates. This is the number of engaged individuals who have clicked anywhere on one of your Facebook Page posts. For example, someone could have Liked one of your posts, commented on it, or shared it. Facebook event is a feature that lets users organize gatherings and respond to invites. Users can post statuses, upload photos, dates, and event details to an event page. The number of joins for your event as a result of your ad. External referrers are the number of views your Facebook Page received from website URLs that aren’t part of Facebook.com. Account Kit helps you grow your app or website by giving people a choice to sign in with their phone number or email address without the need for a password. It's reliable, easy to use and gives you a choice about how you sign up for apps. Aquila is Facebook's first full-scale drone for Internet.org. Using a linked network of the drones, Facebook plans to provide internet access in remote parts of the world. A Facebook badge allows website owners to share their Facebook profiles, photos, or pages on their websites. The Facebook Exchange helps advertisers reach users who will potentially be interested in their offer. Interest is determined by the expressed interest in a similar type of offer online. This feature is typically used by advertisers who have data on users’ intent to buy a product. In Page Insights, and other places on Facebook, “fans” is another way to refer to the people who Like your Page. A follow is an action that occurs when a user either likes or follows a page or a profile or adds another user as a friend. When a user follows a page or a person, that user will see the posts of the person or the page on news feed. Free Basics is a Facebook platform that provides free, basic access to websites that are otherwise difficult to access with basic internet services. Users can easily access information news related to maternal health, travel, local jobs, sports, communication, and the local government. Friends are people you connect and share with on Facebook. You can send as well as receive Friend requests from other Facebook members. Liking is an action that occurs on Facebook when users click on the like button symbolized by the Facebook thumbs-up icon. This version of Facebook uses less data and works in all network conditions. It works on most Andoid phones, uses less data, loads quickly, and works on all networks. Messages are similar to private email messages. They appear in your Facebook Inbox and can include text messages, chats, emails, and mobile messages from your Facebook Friends. Milestones are a special type of Page post that lets you highlight key moments on your Page’s Timeline. You can use milestones to share important events that tell the story of your Page is about. Page views are the total number of times your Facebook Page was viewed during the time period you select. Search is a tool to find people, posts, photos, places, Pages, Groups, apps, and events on Facebook. Frequency is the average number of times your ad was shown to each person. You may see this number both at the ad and ad set level of a campaign. This is a targeting option that allows you to reach individuals who are friends with people who Like your Facebook Page. This is a targeting option on Facebook that allows you to display ads to a specific gender. Gender is also reported in the Audience Insights reports. The total value returned from the gift sale conversions as a result of your ad. The number of gifts you sold on Facebook as a result of your ad. The number of times your ad entered the screen for the first time. People may see multiple impressions of the same post. For example, someone might see a page update in News Feed once and then a second time if a friend shares it. Instagram Stories is a new feature that lets you share all the moments of your day in a format similar to Snapchat. As you share multiple photos and videos, they appear together in a slideshow format that can be viewed by the users following you on Instagram. Instant Articles is a Facebook feature that allows publishers’ articles to quickly and easily load and open within its app. Instant Articles is also a placement option for Facebook ads. Interest targeting is a targeting option that allows advertisers to target an audience with particular interests such as activities, music, movies, and TV shows. The number of times a key page was viewed on your website as a result of your ad. A landing page is a single web page that appears in response to clicking an online advertisement. The landing page will usually display directed sales copy that is a logical extension of the advertisement, search result or link. This is the number of people who saw any content about your Page grouped by language, based on default language settings. A valuable offer advertisers give to potential customers in exchange for their personal information. A lead is a potential customer who responded to your lead ad and gave you his or her contact information. When analyzing data, it can also refer to the number of new leads acquired as a result of an ad. The total value returned from acquiring new leads on your website as a result of your ad. A lifetime budget lets you set an amount to spend over the lifetime of an ad set. Our system will automatically try to evenly spread the amount you spend across the period of time that you've selected. A metric, which can be found within page insights, shows the number of times users liked a Facebook page at a specified date range. This section features all of the other Pages that you, as the Page, Like. Link ads contain CTA buttons that direct users to a website. This is a type of audience that's created by Facebook to help advertisers reach people who are similar to "look like" an audience that they care about. Lookalike audiences can only be created from custom audiences. A premium product for Instagram advertisers that helps drive mass awareness and expanded reach in a short time frame—perfect for events like movie premieres and new product launches. This is the number of times a piece of media content that you published on your Page – including a video, photo, or audio clip – is clicked and viewed on a specific day. Facebook Messenger is a live-messaging tool where you can create a custom experience for your unique audience. People won't need to download an app to interact with you, just build your bot and instantly reach people on whichever device and platform they use. The number of levels achieved in your mobile app as a result of of your ad. The number of actions that occurred in your mobile app as a result of your ad. The number of other actions in your mobile app as a result of your ad. The total value returned from actions that occurred in your mobile app as a result of your ad. The number of times something was added to a shopping cart in your mobile app as a result of your ad. The total value returned from items added to a cart in your mobile app as a result of your ad. This is based on the value assigned to the conversion type in your pixel code. The number of times something was added to a wishlist in your mobile app as a result of your ad. The total value returned from items added to a wishlist in your mobile app as a result of your ad. This is based on the value assigned to the conversion type in your pixel code. The number of checkouts initiated in your mobile app as a result of your ad. The total value returned from checkouts initiated in your mobile app as a result of your ad. This is based on the value assigned to the conversion type in your pixel code. The number of content views in your mobile app as a result of your ad. The total value returned from content views in your mobile app as a result of your ad. This is based on the value assigned to the conversion type in your pixel code. The number of times advertising coupons were spent in your mobile app as a result of your ad. The number of features, levels or achievements that were unlocked in your mobile app as a result of your ad. Mobile app install ads help developers reach people on mobile devices. When people click on the ad on the mobile device, they will be directed to the App Store or Google Play to install the app. The number of installs from a mobile device as a result of your ad. The number of times payment information was entered in your mobile app as a result of your ad. The number of times a purchase was made in your mobile app as a result of your ad. The total value returned from purchases made in your mobile app as a result of your ad. This is based on the value assigned to the conversion type in your pixel code. The number of ratings in your mobile app as a result of your ad. The total value returned from ratings in your mobile app as a result of your ad. This is based on the value assigned to the conversion type in your pixel code. The number of mobile app registrations as a result of your ad. The number of searches in your mobile app as a result of your ad. The number of mobile app starts as a result of your ad. The number of tutorials completed in your mobile app as a result of your ad. This is the number of people who have viewed your Facebook Page or interacted with it during the previous 30 days. By tracking this metric, you can determine the degree to which your Facebook influence fluctuates monthly or seasonally. used to descibe the quality of people who are interested in and likely to respond well to multicultural content. referring to their affinity to the cultures they are interested in. based on affinity, not ethnicity. The difference between the number of people who have liked a page and the number of people who have unliked a page over a specific time period. This total is the number of unique individuals who Liked your Facebook Page during a specific date range that you set yourself. News feed, a scrollable trail of posts, is the main part of Facebook where the posts of friends, family, followed pages, and ads appear. The Notes feature lets you publish messages in rich-text format, giving you greater flexibility than simple updates allow. In addition to formatting your text, you can add photos and tag other people in your note. Notifications are updates about activity on Facebook that a user is involved in. For example, users can receive notifications if someone commented on their posts or a post that they previously commented on. They can also receive reaction, birthday, and saved post notifications, among many others. A sponsored story that appears in the News Feeds or sidebars of friends of those who have claimed your Facebook Offer. An optimization and pricing option available in Power Editor and Ads API for mobile app engagement ads. It optimizes your ad for people most likely to complete an app event while charging you for impressions. Organic reach is the number of unique individuals who saw a specific post from your Page on their News Feeds, tickers, or directly on their Pages. A sponsored story surfaced to the friends who have liked the Page owned by the advertiser. These ads message the user to let them know that “Friend X” likes this Page, thus encouraging them to do the same. The number of mentions of your Page as a result of your ad. The promotion of a post (status update, video, photo share, link share) previously created by a Page. An advertising unit that promotes the interaction (like or comment) of a target user’s friend with the advertiser’s Page post. There are five different roles for people who help manage Facebook Pages. These roles include admin, editor, moderator, advertiser, and analyst. Any person assigned to these roles will log into their own personal accounts and work on the Page from there. The number of views of tabs on your Page as a result of your ad. These are sections that come with your Page when you create it. They keep your Page organized and help people see specific content types, like photos and events. This helps you compare the performance of your Page and posts with similar Pages on Facebook. This is the number of unique individuals who saw a specific post from your Page through a paid source like a Facebook Ad or Promoted Post. Partner categories are a targeting option you can use with your ad to identify and reach the right people with the right message on Facebook, based on their activity off of Facebook. Verified forms of payment you can add to your Facebook account to pay for ads. You can view your all currently active credit cards as well as any active advertising coupons under the Payment Methods tab of your ad account. The number of views of your photos as a result of your ad. The Facebook Pixel Helper is a Chrome extension that helps you check whether your Facebook pixel is working properly on any website. Where ad units will appear. Options for Facebook include desktop newsfeed, mobile newsfeed and right column on desktop. Ads may also show on Instagram and the Audience Network. The number of comments on your Page's posts as a result of your ad. The number of actions (ex: likes, comments, shares, photo views, link clicks, video views) related to your Page's posts as a result of your ad. This is the number of Likes and comments on stories published in your Page’s News Feed during the time period you select. This is the number of people who have seen your post. You post counts as reaching someone when it’s shown in their News Feed. Figures displayed in Insights are for the first 28 days after a post was created and include people viewing your post on desktop and mobile. The number of shares of your Page's posts as a result of your ad. Post views are the number of times a story published on your Facebook Page News Feed was viewed during the time period you select. Posts to Page are any posts made to your Page by someone other than an admin. This way, your Timeline will showcase messages and content from your brand only. Any questions or feedback from customers will be found in the Posts to Page section on the left-hand side of your Page. This is the amount you’re paying per click (CPC), cost per install (CPI) or cost per 1,000 impressions (CPM). The default payment method on your account. Any ad you create will be charged to this payment method. If there's a problem with your primary payment method and Facebook is unable to charge it, any backup payment methods you add to your account may be charged. Your Profile is your collection of photos, stories, and experiences that tell your story. It includes your Timeline, profile picture, biography, and personal information. It can be public or private, andt it is only for non-commercial use. The Facebook Profile Expression Kit lets people share videos they make in third-party apps directly into the Facebook profile video flow. It helps people bring their Facebook profiles to life with video content created in your app. The total number of individual people who saw sponsored stories or ads in a specified campaign. This is different from impressions, which includes people seeing them multiple times. The number of times a registration was completed on your website as a result of your ad. The total value returned from completed registration conversions on your website as a result of your ad. Reports are the documentation of your most important ad metrics that can show you how you're reaching your business goals. The number of results you received divided by the number of impressions. The number of actions as a result of your ad. The results you see here are based on your objective. Save to Facebook is a button that lets people save items or services to a private list on Facebook, share it with friends, and receive relevant notifications. For example, a person can save items like links, places, movies, TV and music. This is the number of social clicks divided by social impressions. Clicks on ads that were shown with the names of viewers’ friends who liked your Page, RSVPed to your event or used an app. The number of any clicks your ad receives (ex: likes, event responses, offsite clicks) when it's shown with social information. Social Plugins are tools that other websites can use to provide people with personalized and social experiences. When you interact with social plugins, you share your experiences off Facebook with your friends on Facebook. A source audience is the audience a Lookalike Audience is based on. For example, if you create a Lookalike Audience from your Page fans, your Page fans would be the source audience. The amount spent on your ad set since 12am today. If you set a daily budget for an ad set, you'll see your progress towards that budget here. Sponsored results provide you with the ability to buy ads in Facebook search results and help bring more awareness and traffic to your app, Page, or place. This feature was discontinued in 2013. Messages coming from friends about them engaging with your Page, app or event that a business, organization or individual has paid to highlight so that there’s a better chance people see them. The date a campaign is eligible to start running ads. Campaigns can run continuously or be limited with specific dates. The status of your campaigns, ad sets, and ads can be turned on or off. Keep in mind that if your campaign is Off you'll need to turn it On before your ad sets and ads can run. Each campaign may be running, paused, completed or deleted. An action that links a person or page to something a user posts, may that be a photo, a status, or a check-in. Ad targeting contains all of the target options you choose to define your target audience (e.g. location, gender, age, likes, interests, relationship status, workplace, and education). All Facebook ads require you to create a target audience using its over 850 targeting options. The Ticker is positioned on the right side of your homepage and is updated with your friends’ activities in real-time. You can use it to keep up with the latest news as it happens, listen to music with your friends, or hover over a story to join in the conversation. Your Timeline is where you can see your posts or posts you've been tagged in displayed by date. Your Timeline is also part of your profile. Your Timeline is where you can see your posts or posts you’ve been tagged in displayed by date. It’s also part of your Profile. This is a tool that lets you approve or reject posts that you’ve been tagged in before they go on your Timeline. When people you’re not friends with tag you in a post, they automatically go to Timeline review. Top Stories include the stories published since you last checked News Feed that Facebook’s algorithm thinks you’ll find interesting. These items might be different depending on how long it’s been since you last visited your News Feed. The total revenue returned from conversions or Facebook credit spends that occurred on your website or app. This is based on the value assigned to the conversion type in your pixel code. A trademark is a word, slogan, symbol or design (ex: brand name or logo) that identifies and distinguishes the products or services offered by one party from those offered by others. All completed payments for advertising services are listed as completed transactions in your billing summary. To see a more detailed view of each completed payment you can click the transaction ID found in the transaction column. Trending shows you a list of topics and hashtags that have recently spiked in popularity on Facebook, Twitter, Snapchat or other social media networks. On Facebook, this is a personalized list based on your location, Pages you’ve liked, and what’s trending across Facebook. The total number of unique people who have clicked on your ad. For example, if 10 people click on the same ad 5 times, it will count as 50 total clicks and 10 unique clicks. Unique click-through rate for all clicks. The number of people who clicked anywhere in your ad, divided by the number of people you reached. Ex: if you received 10 unique clicks and your ad was shown to 1,000 unique people, your unique click-through rate would be 1%. This is the number of unique individuals who have deselected the like button (unlike) for your Facebook Page during a specific date range. An unpublished Page post is a Page post created in Power Editor that will appear in News Feed but not on your Page. It allows you to create an ad for that post without it appearing on your Page's Timeline. VAT stands for value added tax. Most businesses in the EU are required to register for value added tax (VAT) and the VAT registration number provides a unique identifier for the collection and remittance of VAT to the appropriate tax authorities. This $1.01 is a temporary authorization by Facebook to validate your credit card. The charge will be removed from your credit card automatically, typically within 3-5 business days. Some pages and profiles have been verified by Facebook to let people know that they're authentic. If you see a blue badge on a page or profile, it means that Facebook confirmed that this is the authentic page or profile for this public figure, celebrities, media company or global brands. Video ads are ad formats that, when clicked, play a video. The number of times users viewed a video for three seconds or more. The number of times your video was viewed to 25% of its length, including views that skipped to this point. The number of times your video was viewed to 75% of its length on Facebook or Instagram, including views that skipped to this point. The number of times your video was viewed to 95% of its length, including views that skipped to this point. Viral reach is the number of unique individuals who saw a specific post from your Page through a story published by one of their Facebook friends. The total value of the actions tracked by your Facebook pixel or conversion pixels on your website after people viewed or clicked on your ad. The total number of actions tracked by your Facebook pixel or conversion pixels on your website after people clicked or viewed your ad. The total value returned from other conversions on your website as a result of your ad. Artificial intelligence (AI) is the intelligence exhibited by machines or software. Facebook's AI is able to recognize patterns in how you interact and deliver content. If you often like updates from a certain person, Facebook might suggest different ways for you to see more from that person.